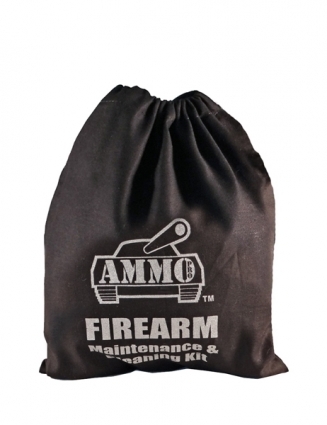 Firearm Care Kit with Free Bag! 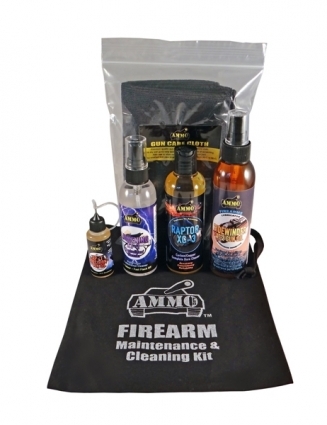 The Firearm Care Kit is the highest performing kit available today for the cleaning and maintenance of all firearms/handguns. This kit comes supplied in a handy drawstring bag for easy storage and transportation when travelling. XP-1: A refined fine oil with super low stiction ratio for the ultimate smooth action of triggers, ejectors, rifle bolts etc. Lightning XT-1 Neutraliser/Cleaner: A fast flash-off/low odour super high performance cleaner for all cleaning/ de-oiling/de-greasing of guns and gun parts. Raptor XC-3:The ultimate cleaner for all firearm barrels and parts, Raptor will chemically bond with copper and carbon residue in the barrel to allow quick and easy cleaning without harming the barrel or any metal work. Raptor leaves a molecular level corrosion film on the cleaned barrel for ultimate protection. Water based so nasty ammonia smell and MUCH safer to use! Cutting edge chemical engineering with unique properties makes Raptor the cleaner of choice! Sidewinder XT-2: A super refined and slightly less viscous version of Ranger. Originally developed to protect and lubricate military armament. Unique Proto Guard technology allows Sidewinder to creep over any surface and penetrate the smallest/tightest gap to give optimum lubrication and protection. Contains the finest corrosion inhibitor on the market for ultimate long term protection. Gun Care Cloth: A premium quality microfibre gun care cloth for very quick drying of wet guns and for general oiling and cleaning duties. This cloth will very quickly absorb water and dirt when the wet day in the field is finished.